When Lucy was just fifteen, she left home with Corey, a man who seemed to be perfect in every way. She even allowed his family to create fake documents so she could marry him without her parents' permission. But soon after they were married, his true colors started to shine, and she found herself trapped with a monster. He was abusive and controlling and she had no way out. It took another fifteen years to gather the courage to run, but when she did, she felt more free than she ever had before. She went straight home to her brother Alex, hoping to reconnect with the only family she had left. Unfortunately, she didn't have much time for a family reunion before Corey tracked her down. Lucy took off with just a few dollars and the clothes on her back, hoping to guide Corey away from Alex and his new family. But Alex couldn't let his sister run forever. He sent a trusted friend from the San Antonio Police Dept. 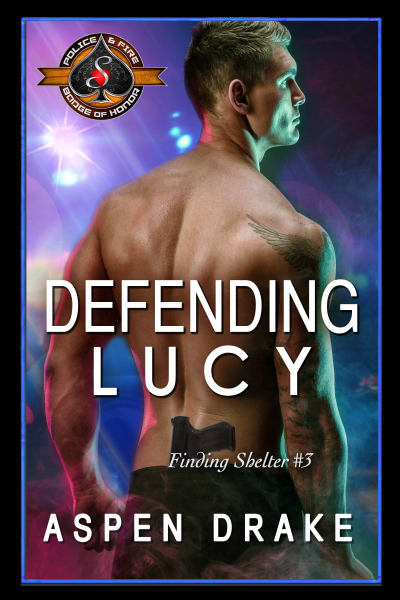 to find Lucy and bring her home safely, unknowing Zane would not only defend Lucy from predators but also steal her heart in the process.